The American Center for Mobility (ACM) has awarded a contract to WSP | Parsons Brinckerhoff to develop a concept of operations, system requirements, and procurement strategy for the technology elements of a major new connected and automated vehicle test site facility planned at a state-owned site in southeast Michigan. The ACM will be built on more than 335 acres adjacent to Willow Run Airport in Ypsilanti, where B-24 bombers were made during World War II in a factory built by Henry Ford. It will become a national-scale advanced automotive testing and product development center that can accommodate the broad needs of industry and government, test various weather conditions including ice and snow, and provide room to grow and adapt as technology dictates. The testing, education, and product development center will serve as a site for precautionary testing before vehicles are deployed on the road and a proving ground for collaborative safety technology demonstrations. The ACM will also serve as a convening center to accelerate the development of voluntary standards. The concept of operations will define requirements for the test facility, including connected vehicle infrastructure, traditional intelligent transportation systems (ITS) technologies, data collection, monitoring, and test simulation needs associated with the site. The final document will include a user-oriented system description, definition of operational needs, and system overview. It will also establish a proposed operational and support environment for the facility as well as potential operational scenarios. The report will establish high-level system requirements and lay out a phased procurement strategy. As the prime consultant, WSP | Parsons Brinckerhoff will coordinate with staff and contractors to develop a complete baseline understanding of the project, identify all user needs, establish a proposed phasing for the site development, and coordinate all third party agreements that could impact the design concept. The firm will conduct outreach meetings in Southeast Michigan with key stakeholders and customers to identify system needs. Completion of the concept of operations is expected in early 2017. As an engineering and professional services consulting firm, WSP | Parsons Brinckerhoff provides services designed to transform the built environment and restore the natural one. The firm’s expertise ranges from environmental remediation and urban planning to engineering iconic buildings and designing sustainable transport networks to developing the energy sources of the future and enabling new ways of extracting essential resources. Approximately 36,500 employees, including engineers, technicians, scientists, planners, surveyors, program and construction management professionals, and various environmental experts work in more than 500 offices across 40 countries worldwide. For more information, visit wsp-pb.com/usa. Across the nation, we see concerning statistics regarding the number of students interested in science-, technology-, engineering-, and mathematics-related (STEM) careers. This growing shortage of science-based talent will present a serious problem in our workplaces and universities, as STEM-based expertise forms the heart of our high-technology society and economy. By understanding the science and math behind various life situations, students gain an appreciation for engineering and become more invested in their classroom lessons. Applying engineering, science, math, and technology knowledge and skills to solve complex open-ended problems in a real-world context is the goal of Saucon Valley High School's (SVHS) Project Lead the Way (PLTW) Engineering program in Pennsylvania. 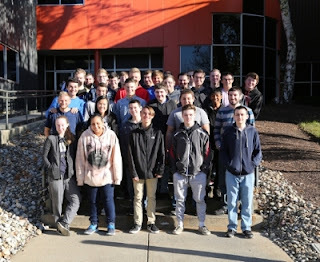 Recently, 50 SVHS students enrolled in this curriculum will visit three Easton manufacturers – Victaulic, Crayola, and Follett – to see engineers in action. "The fastest growing careers require science, technology, engineering and math knowledge at the core," says Eric Luftig, Victaulic vice president. "Together with our colleagues at Crayola and Follett, we are committed to inspiring young people to consider STEM disciplines and help prepare them for the future." Monica McHale-Small, Saucon Valley School District superintendent, adds, "A critical step in making science and math engaging and relevant to students is providing them with authentic, real-life experiences." All three manufacturers are no stranger to promoting their science, technology, engineering and mathematics opportunities, with involvement in the Dream It. Do It. PA's "What's So Cool About Manufacturing?" video contest. They join 27 other regional manufacturers in the 2017 initiative, which invites students inside manufacturing facilities to discover STEM jobs and help change perceptions and attitudes in the Keystone State about advanced manufacturing careers. Recently, Victaulic, Crayola and Follett also partnered for "Stuff the Bus," a community initiative to collect school supplies for students at Cheston Elementary in Easton. A total of 600 backpacks were assembled and distributed during the United Way of the Greater Lehigh Valley's annual Day of Caring event. Since 1919, Victaulic has designed and produced mechanical pipe-joining solutions. The company has 13 manufacturing facilities and 30 branches worldwide with 3,600 employees. With over 1900 patents, Victaulic solutions are at work in more than 120 countries across diverse business lines including oil, gas and chemical, mining, power generation, water and wastewater treatment, military and marine, as well as commercial building and fire protection. For more information visit www.victaulic.com. Crayola, based in Easton since 1903 and a subsidiary of Hallmark Cards, manufactures children's creative expression products such as Crayons. Founded in 1948, Follett designs and manufactures equipment for the foodservice and healthcare markets, including ice machines, ice and water dispensers, ice storage and transport equipment, and medical-grade refrigerators and freezers. 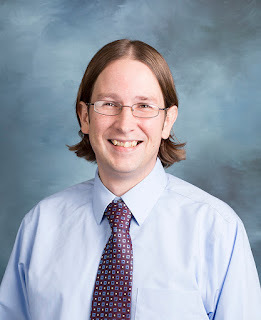 Baxter & Woodman Consulting Engineers announces Kenneth Koch, P.E. has attained the status of Certified Energy Manager (CEM). Koch lives in DeKalb, IL and works out of the firm’s DeKalb office. The accreditation recognizes individuals who have demonstrated high levels of experience, competence, proficiency, and ethical fitness in the energy management profession. Administered by the Association of Energy Engineers, the CEM certification program is accredited by the American National Standards Institute (ANSI) based on the International Standard ANSI/ISO/IEC 17024. Koch is a recognized technical leader in water system modeling, energy improvements, and sustainability research. In his current role as energy management coordinator, Koch provides technical guidance and promotes innovative approaches for managing and reducing energy consumption. Working collaboratively with Baxter & Woodman engineers and technology specialists, Koch identifies forward-thinking, sustainable energy management solutions that minimize energy costs and mitigate environmental effects for clients. “Ken’s enthusiasm for efficient energy management and his ongoing research and development of new technologies make him the perfect champion to promote smart energy management practices to the communities and government entities we serve,” says Lou Haussmann, executive vice president/chief operations officer of Baxter & Woodman. Baxter & Woodman is an employee-owned design firm that provides planning, design, construction, and technology services for water, wastewater, stormwater, and transportation facilities. Environmental, geographic information systems (GIS), water and wastewater operations, and advanced technology needs complement the firm’s civil engineering expertise. Municipalities, county and state agencies are served from six regional offices in northern Illinois and southern Wisconsin. Baxter & Woodman is dedicated to identifying sustainable solutions for clients, including energy efficiency incentives, loan programs, and grant funding by using the expertise of on-staff LEED-accredited and Envision Sustainability professionals.